As many already know, Scandinavia is among the very top for richest and most expensive places in the world. The Danes have a good standard of life and it shows when you walk around Copenhagen. Naturally, prices of goods will also be among the most expensive as well. Eating out is not cheap, and there’s no 3 euro half liter beers to be had here. The Danish Krone is a strong currency. All in all, I found Copenhagen to be about as expensive as New York City. Dinners at a decent restaurant would cost me ~25 euros, and beers are about 6-8 euros. Turns out, the Swedes come to Copenhagen to take advantage of the fair prices, and the Norwegians go to Sweden to take advantage of their prices. So technically, those making Copenhagen their first Scandinavian visit are traveling budget. 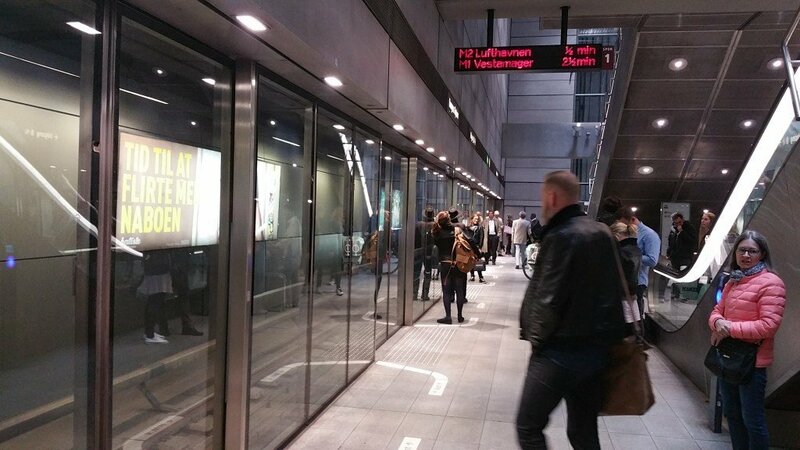 As I expected, with all that money Denmark has, their public transport system is pristine. It’s one of the easiest, cleanest, and most well kept transport metro system I’ve ever seen. Copenhagen is a small city and walking is the primary mode of transportation. I only caught the metro once (to go to Christiania) while I was in Copenhagen. The rest of the time, was either by foot, or by renting a bike as Copenhagen is very much a biking city as well, similar to Amsterdam. Approaching copenhagen on my SAS flight. 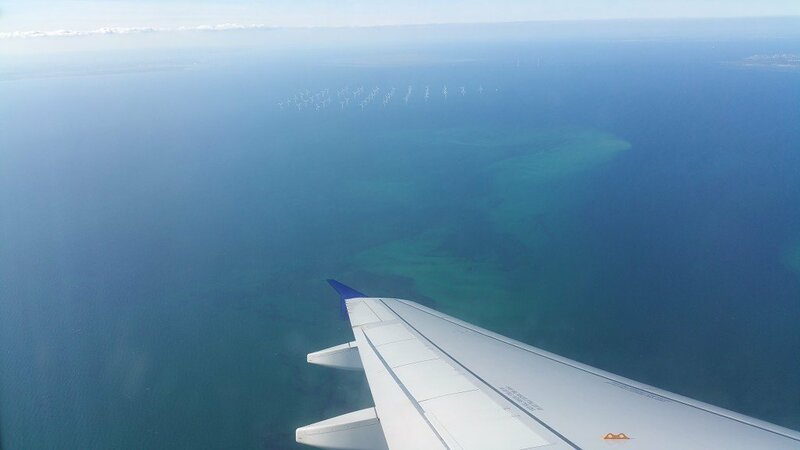 There is a really cool group of windmills in the middle of the sea. Doesn’t get much easier than in Copenhagen (except perhaps Hong Kong). The train metro station is pretty much inside the airport so it’s a quick walk from the gate to the driver-less trains. 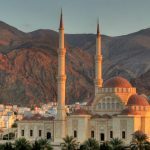 From the airport, it’s a quick 20 minute ride into the city center. The metro system is fairly small, which is perhaps why it is so nice, and will take no time at all to master. From the airport to the city costs 36 DKK (about $5) and within the city limits is 24 DKK. 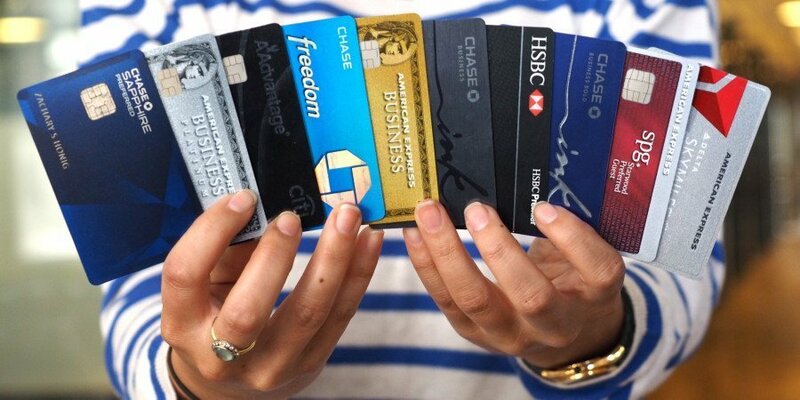 There is also the option of purchasing a Copenhagen Card, and includes unlimited metro and bus use, free admission into almost all the museums in the city, and discounts on restaurants. However, the price is 359 DKK for 24 hours I feel is only worthwhile if you’re planning on visiting every museum in 1 day. Like I mentioned, I only took the metro once in 48 hours because the city is so walk-able. 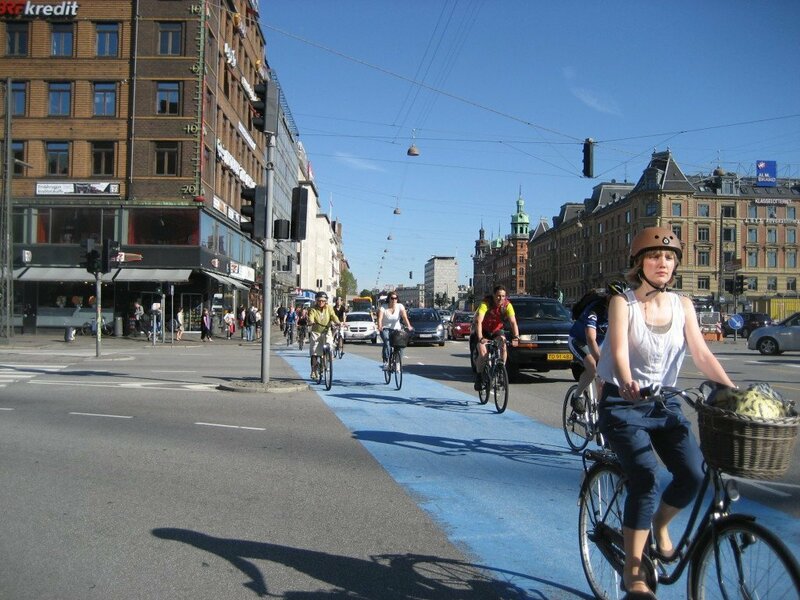 Copenhagen is very much a biking city and the Danes are avid bikers. There are clear biking lanes on all the roads making it safe and easy even for tourists. My hostel had bike rentals for 100 DKK for a day. With a bike, I could pretty much visit all the main sights within 15 minutes. For visitors, there are many options to rent a bike. The best and most convenient is definitely to use Donkey Bike, a bike sharing program where you can pick up the bike and drop off at many locations without worrying about the safety of the bike. It is 100 DKK a day and cheaper with multiple days. Snapping a pic while biking in Copenhagen. Danish food isn’t the world’s most exciting food, and the Danes will be the first people to tell you this. When asking the locals where I could eat some good local Danish food, most couldn’t come up with an answer. Truth be told, there is not much of a Danish cuisine, and whatever is “Danish” could just be normal food in some other cuisine. 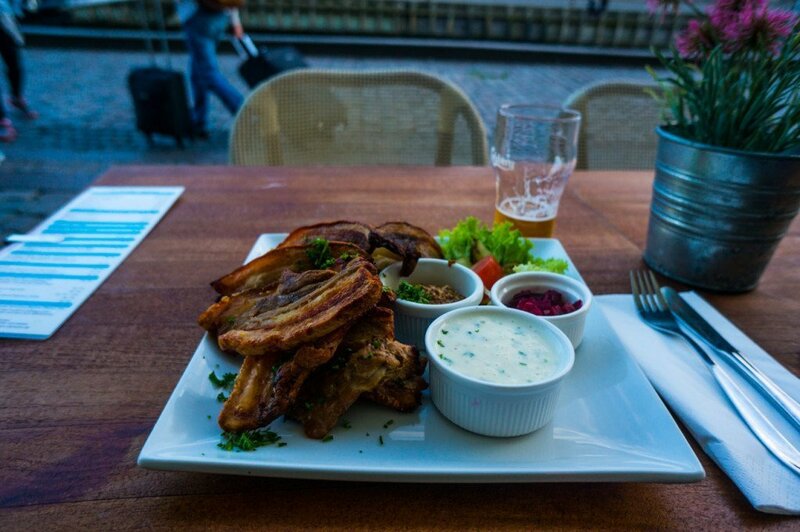 Don’t worry though, for all the foodies, Copenhagen has one of the best food scenes in Europe. Modern danish cuisine is all about innovation and precision so fans of fine dining will love this city. I didn’t find my doner kebab places like in Germany but Denmark is famous for its version of the hot dog which I’m sure came heavily influenced by its German neighbors to the south. These are regularly available at numerous street vendors and surprisingly, they are actually pretty damn good. The ingredients are high quality unlike the mystery meat we get served up in America. In English, we would pronounce this as “Smorgasbord” which is a word everyone’s familiar with. Whenever I heard the word, I just took it meaning a copious amount of different foods in a festival like atmosphere. 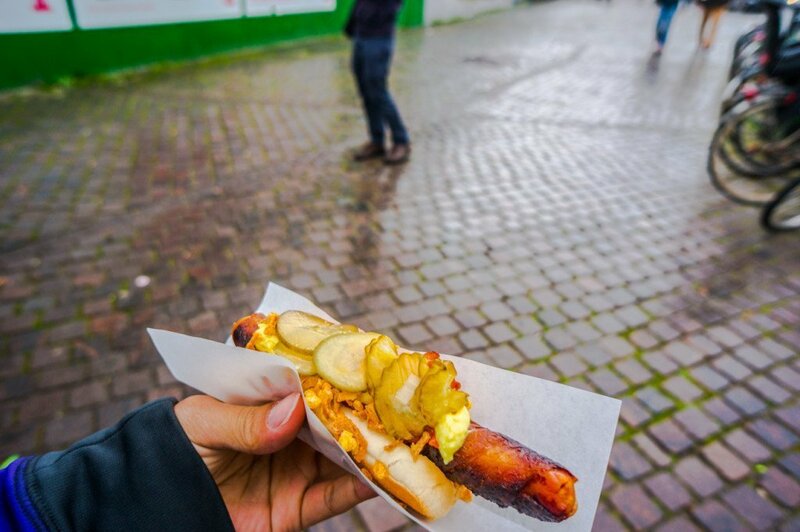 As far as Danish cuisine goes, this one is probably the most recognizable. It’s just an open faced rye sandwich (so only one piece of bread) with whatever else on it; fish, shrimp, cold cuts, chicken etc. I suppose you could just take a pastrami sandwich, throw out a piece of bread, and call it smorrebrod? Either way, I had a fair helping of these little sandwiches and perhaps it was the freshness of the ingredients but I was a big fan of them. I went to Gitte Kik restaurant for lunch to eat these. The restaurant was very nice and rustic inside with only a slight tourist feel. The smorrebrod were as much pieces of culinary art as they were of deliciousness. I ended up wolfing down a few of these with a beer and I paid around 250 DKK which is a little ridiculous even for Denmark standards. There must be a place that serves budget smorresbrod even if these aren’t street food style items. Eating some flaeskesteg in Copenhagen. Very rich, and very buttery. Wouldn’t recommend eating too much of this stuff, and certainly do not eat before a night out. I suppose the best way to describe this is deep fried thick cut bacon. Yes it sounds good, and it tastes even better. This is uniquely Danish and I’m happy I made the extra effort to find this dish. It should be renamed to the heart attack special but my goodness was I satisfied. Being on vacation, this was easily justified but I’m not sure how the locals could eat this stuff on a regular basis (and they do not). Herring is the popular fish of choice in Northern Europe. 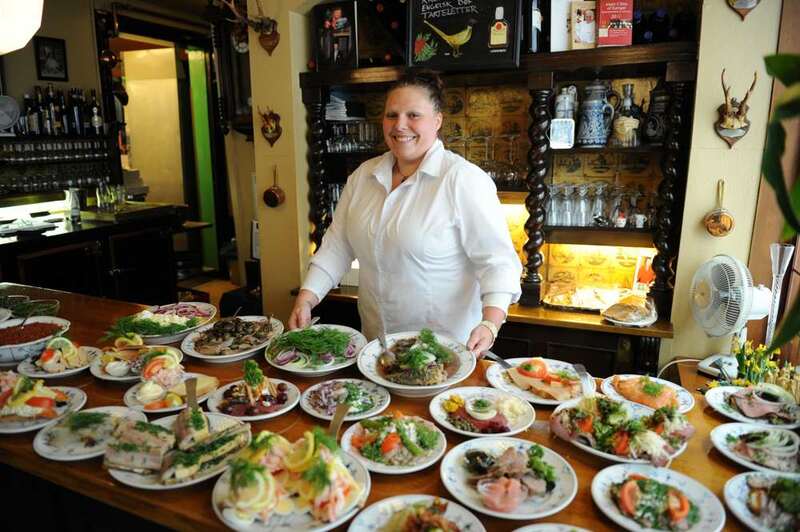 There are numerous restaurants, especially in the touristy areas that do a herring buffet (around 250 kroner per person). 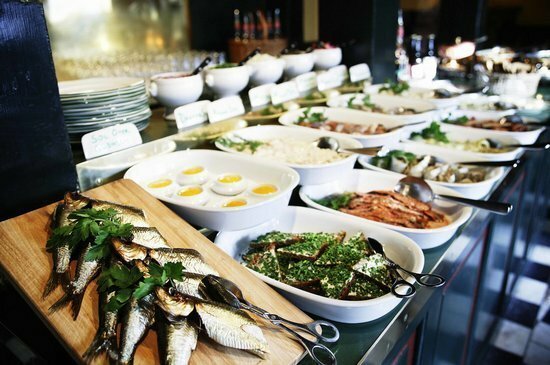 Herring is not my favorite whitefish, but it is tasty nonetheless and these buffets are the perfect way to experience all the different “styles” Denmark has to offer. From pickled herring, to fried herring, to seared herring, to herring with more herring on it (you get the idea), there is bound to be some form of herring that you will enjoy. I was hungry after walking around for hours, that I probably ate 3 or 4 whole herrings to myself. I went to Nyhavns Færgekro to have this buffet. Curb your excitement here, you will not be reading a review of the world’s highest rated restaurant from me. There are a large number of multiple Michelin star restaurants in Denmark. 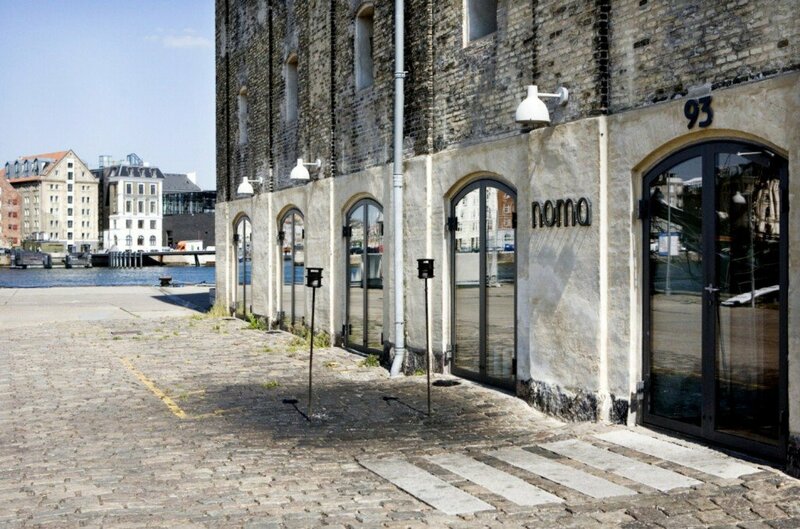 Noma is one of those places, rated top restaurant in the world. Reservations need to be made here months in advance to even stand a chance. Like most ultra fine dining experiences, it’s more about the experience spread out through 20 courses than the quantity of food. From reading TripAdvisor reviews, the standard price is about $400-500 a person with drinks. Not budget travel friendly, that’s for sure. 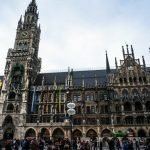 Everywhere else I’ve been in Europe, there was usually at least one sight I knew about before visiting (Berlin = Holocaust Memorial, Vienna = Opera House, Paris = Eiffel Tower etc). I didn’t know anything about Copenhagen except for the colorful little houses on the water. 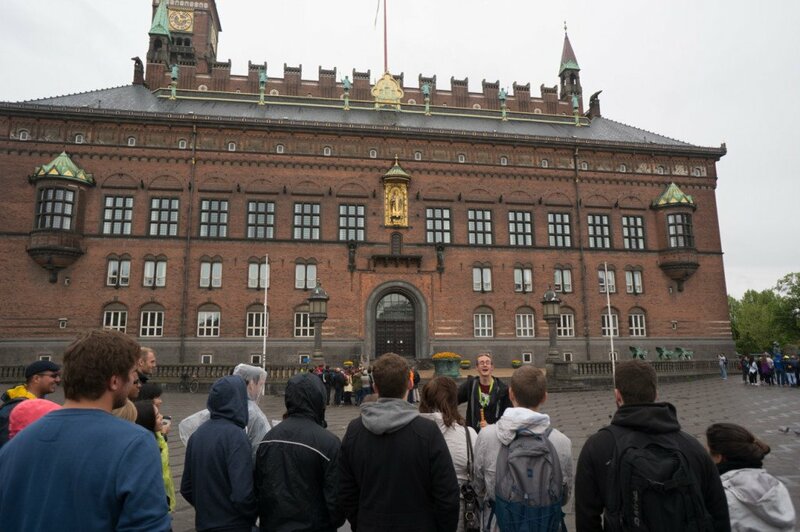 There’s plenty to see in Copenhagen, the city is small and 48 hours is plenty of time to see most of the sights. 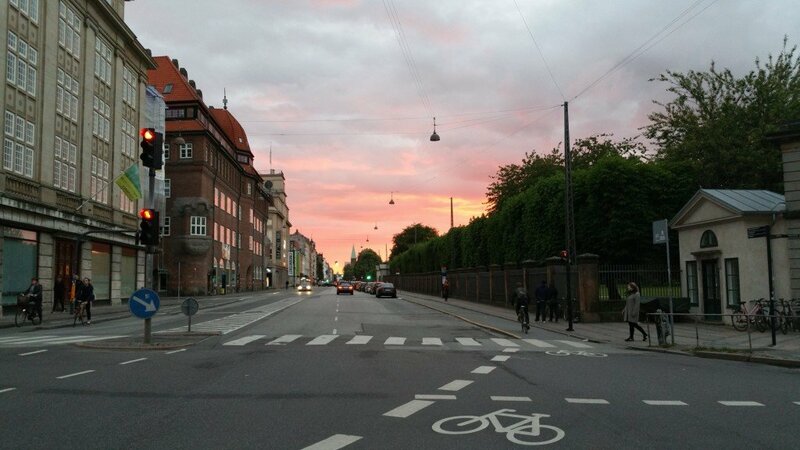 Soaking in a beautiful sunset in Copenhagen after a long day of sightseeing. Note that as Copenhagen is so far north, visiting in the summer time will yield extra long days, perfect for sightseeing. When I visited in the end of May, the sun would rise at 6am and set at 10:30pm! 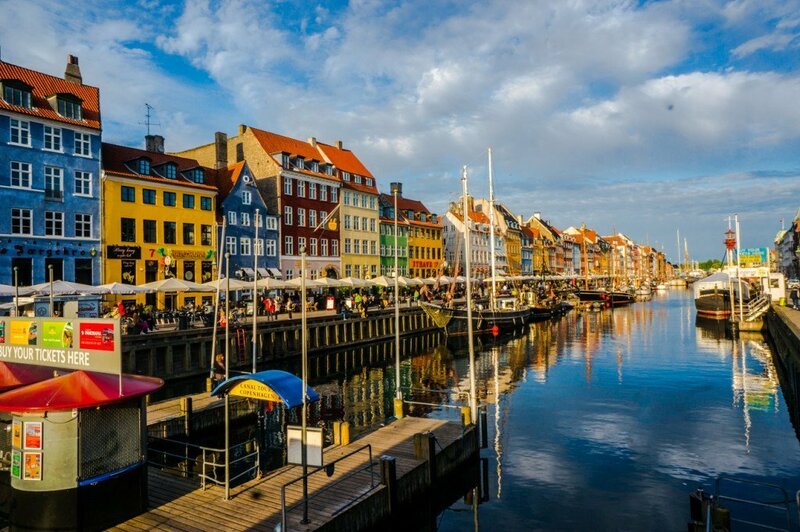 Speaking of colorful little houses on the water, that area is called Nyhavn (pronounced new-hound without the d). It was once the port of the town, home to bars, brothels, and probably pirates. Sadly there are no pirates anymore. Nowadays, it’s been colorfully painted and is filled with over-priced restaurants and ice cream shops. It is the most touristy place in the city and might as well be Copenhagen’s Times Square. Nevertheless, this is a very picturesque place and perfect to have a sundowner while people watching. It is not hard to find, and it’s very unlikely that a trip to Copenhagen will not stop through this street at some point. I didn’t plan on joining a walking tour but I stumbled upon this group and the guide sounded interesting. I decided on joining a free walking tour after I walked aimlessly through the city for a few hours. I didn’t understand any of the things was looking at and wanted to learn a bit about the city’s history. This walk visits most of the city’s main sights and our guide was particularly insightful, telling us little tidbits about the city. For example, during WWII, the Danish Jews were smuggled into Sweden to avoid persecution and their neighbors made sure their businesses were kept up, lawns were mowed, and houses cleaned so when the war ended, they would return home like nothing happened. Or how Copenhagen experienced numerous major fires in its history and was rebuilt countless times. 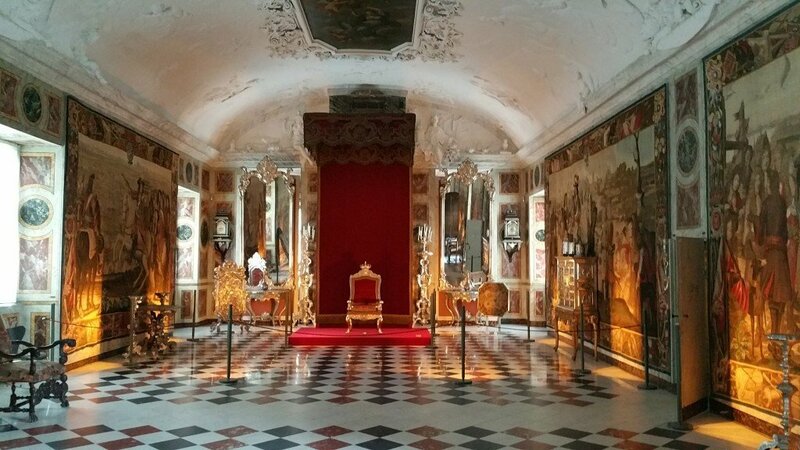 Another beautiful renaissance castle in Copenhagen, this was once the summer home of the Imperial family. It’s now a museum that houses the royal artifacts. You can buy tickets to take a self-guided tour of the castle and royal artifacts. 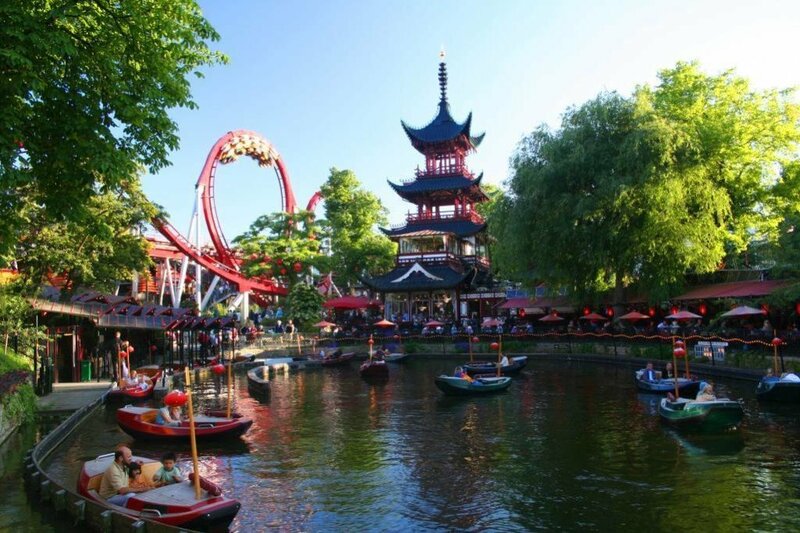 Tivoli Gardens is the second oldest amusement park in the world having opened in 1843, after Dyrehavsbakken in nearby Klampenborg. I can’t say this was on my list of places to go. I mean I wasn’t here to visit an amusement park but I was glad I did it anyway. It’s still an active amusement park and you’ll see plenty of local Danes taking their children here. It’s a pretty cool walk through the park, looking at all the old buildings, somehow housing roller coasters and whatnot. This place is the most spectacular at night though, when all its lights are fully lit. You wont’ find this place on many guide books and I didn’t have any plans to visit either. It’s more or less the hippie commune of Copenhagen. I met this British guy at my hostel that might as well of been the offspring of a hippie and hipster who said I needed to check the place out. Taking his advice, we went there for the night and ended up drinking at a few bars until the early hours of the morning. It’s really a mind-trip to be sightseeing in Copenhagen all day, and then coming to Christiania. It’s hard to imagine how this place came to be and how it’s stayed the way it is, especially when such a modern and grandiose city is across the bridge. 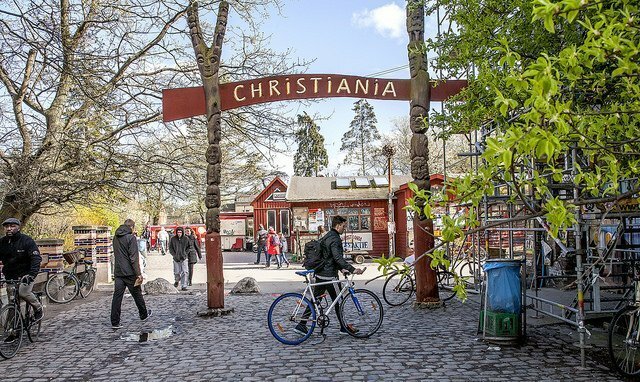 While technically not legal, weed is readily available in Christiania, and to no one’s surprise. 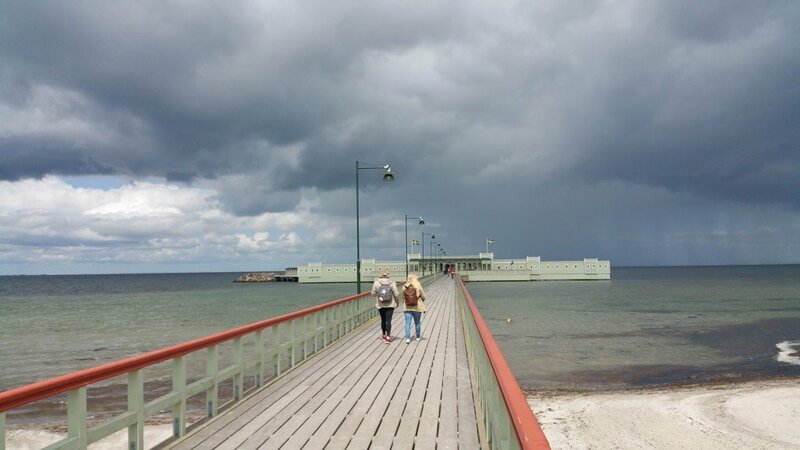 Copenhagen is located a short train ride away from the Swedish city of Malmo. I decided to make the trip out because why not go to another country if it’s so close? Malmo is the sleepier suburban version of Copenhagen. It is a nice, and picturesque town, but without much to do. 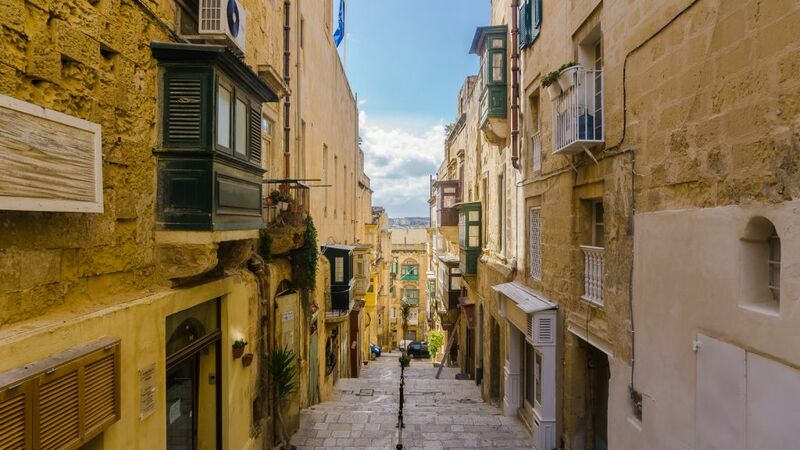 Walking through the old town can be done in 20 minutes. 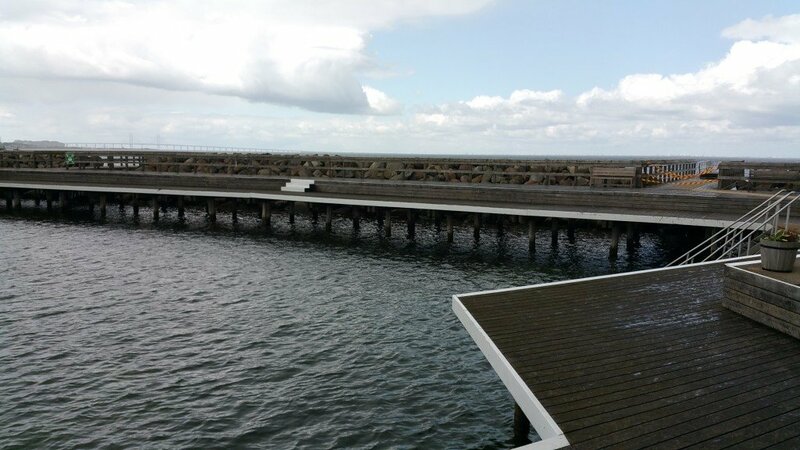 While walking around aimlessly, I turned to TripAdvisor and discovered Ribersborg Kallbadhus, a Swedish Bath that received very favorable reviews. While I had no idea what this “Swedish bath” was, the pictures looked scenic and I wasn’t ready to return to Copenhagen. There’s a restaurant when you first walk in. I looked around for some guidance and a nice Swedish girl at the counter asked if I wanted to go for a Bath. She explained the process to me. You strip naked, rinse off, go into a 40 degree sauna room, sweat until you can take no more, run outside, and jump into the frigid Atlantic ocean. I thought that was a bit absurd but after a few seconds of thought and she assured me it was fun, I said screw it why not? She handed me a towel and I proceeded to the changing rooms. After stripping down and rinsing off, it’s time to head to the sauna. There are male sauna rooms and co-ed saunas. I went into one of the male ones where an old Swedish guy who looked like a regular was just chilling out, doing his thing. He was a nice guy and we ended up talking for awhile, making me almost forget what I was actually doing. Twenty minutes later, I’m dripping sweat and he tells me it’s time. Run out and get in the water. I do as he says and jump into the 10 degree water. It’s an absolute rush, and you get this tingling sensation through your body that feels incredible. I felt shockingly rejuvenated after the dip. So I’m definitely not supposed to take pictures in this area as this is the water you jump into once you’re naked and extremely sweaty from the sauna. Turns out, this is very popular tradition in Sweden. I went back into the sauna to sweat and jumped in one more time for good measure. Afterwards, I had a very delicious lunch of pickled herring smorrebord at the restaurant here.